On August 24th the self-proclaimed band of musical wizards from Oklahoma, Sports, released their third full album, Everyone’s Invited. Sports is comprised of Cale Chronister, and brothers Jacob and Christian Theriot. 12-track album gets dreamier and dreamier as you fall into the spacey and inventive synth that penetrates through each song. 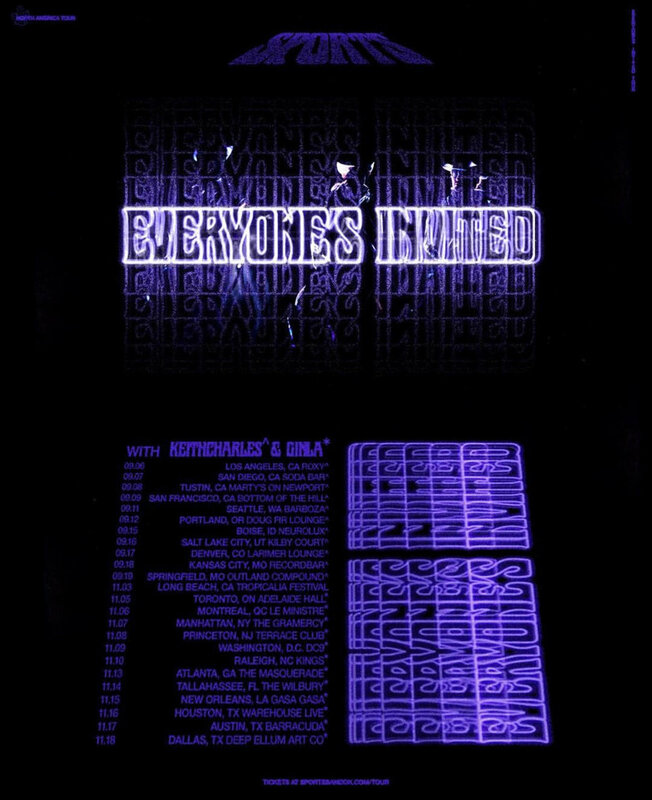 “Everyone’s Invited” is a great follow up to the band’s other two albums because the band has stuck to the same indie-dream-pop sound that their fans love while obviously progressing together and becoming more adept musicians individually. The album has a very intimate feel on song like “No Pressure” and “We Should Get Married.” While “Rob Las Vegas” and “Don’t Tell Me” are some real get-up-and-dance tunes. The album has a diverse blend of indie, bubblegum, oldies, and pop sprinkled throughout so you are never bored. The boys even offer a very “The Doors”-esque song with “Palaver” which pays respect to their Oklahoma roots with the sound of horse hooves click-clacking through the song. The song also offers a very Ray Manzarek-ey synth billowing through and a cowboy voiced man reading poetry. Think “Car Hiss By My Window” mixed with “Horse With No Name.” “Be Like Me” is a song that takes us even farther back in time, this song seems like something you would pay a dime to hear in a jukebox at a roller-skating rink. But don’t think they have strayed from their classic sound! They offer a very groovy jam with “Cadillac” proving that they are still masters of disco-influenced indie-pop. The diverse smattering of style on this album proves how the band is growing and evolving, which makes me very excited and , as a Tulsan, very proud! I really recommend giving this album a listen and going to see Sports on their current tour, you can find the dates below!